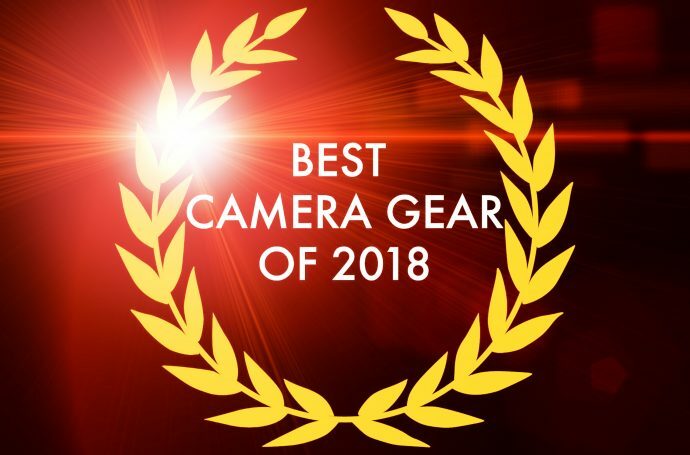 EDIT: I have not been paid to review this camera, it is purely in my hands to evaluate and shoot with. 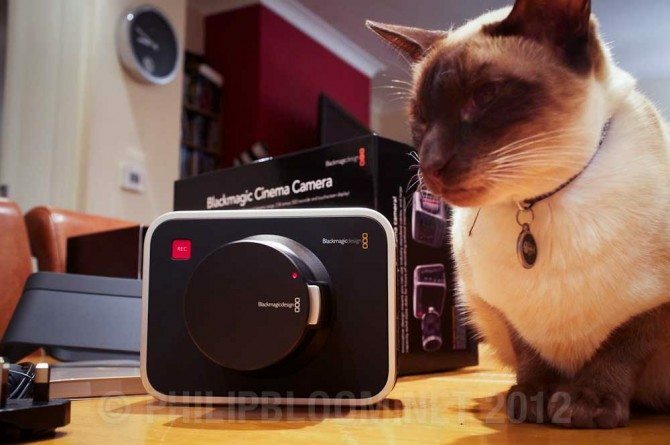 I have never been paid and will never be paid by a manufacturer to do a camera review. Please read more on my ethics statement here. Currently I am in LA having just finished a film shoot. I almost got the camera shipped here but it wouldn’t have made it in time, so I got it sent home as I will be back there in a couple of days. As soon as I get the camera I will start shooting with it. If I can, I will share some files but that won’t be until next weekend at the earliest, as I go to Finland the day after I get back! The packaging is really nice as you will see below. So what are the things I am most excited about? What are the things I am most curious to examine? 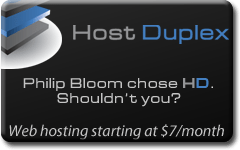 Running costs…extra batteries are expected as the internal one is to be honest just there as an emergency backup. How many SSDs will you need to buy for a decent days’s shoot? These things are not cheap. Also Cinema DNG raw is super cool but just how much time is used up going through resolve then into editing? Is pro res that much worse, obviously it’s not raw but how much do we lose using it? How good is it on a professional shoot. Is it reliable? 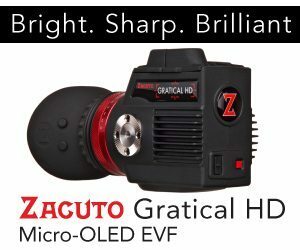 Can you use a mini display port to HDMI output to run a Zacuto EVF? I have an Alphatron with SDI so am covered there but what about everyone who just has an HDMI EVF? So, for now enjoy the stacks of photos of what’s in the box and some photos of the menus. I will share footage as soon as I can! But if you do please use my CVP link or B&H photo video link below, as the small percentage I get helps me do things like this and costs you nothing! been thinking about the wide angles in this camera, the crop factor is about x2 right? how about some 16m lenses? how to mount them though?! While most s35 lenses like the latest Zeiss, Leica, Coooke, Red lenses can’t be adapted to Canon EF because they are too wide and bulky at the mount side, some lenses can. Most notably the Angenieux PL zooms. This means that at least some s16 (Angenieux likely) lenses will probably be mountable on this camera through a PL-to-EF adapter. It is possible that some vignetting shows up, but still worth trying. 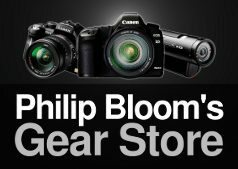 Can you suggest a EOS-M mount so we can use classy C-Mounts, PL / Contax G / FD / Leica M etc? The widest prime for EF is probably the Sigma 4.5mm f2.8, while the widest zooms are a toss between the Canon 8-15 L and the Sigma 8-16. The Canon’s a fisheye, but the effect might not be as pronounced with the 2.3x crop factor. I think they updated the sensor active size, now the crop is 2.27, not that it’s that much different but still. I’d say the 11-16mm tokina would be the widest lens you can use on this camera. Is the EF mount fixed? If so, no way we can use 16mm glass because of the flange distance. Too bad they went with a fixed EF mount, an IMS system would have been perfect, but no such thing as a perfect camera I guess. 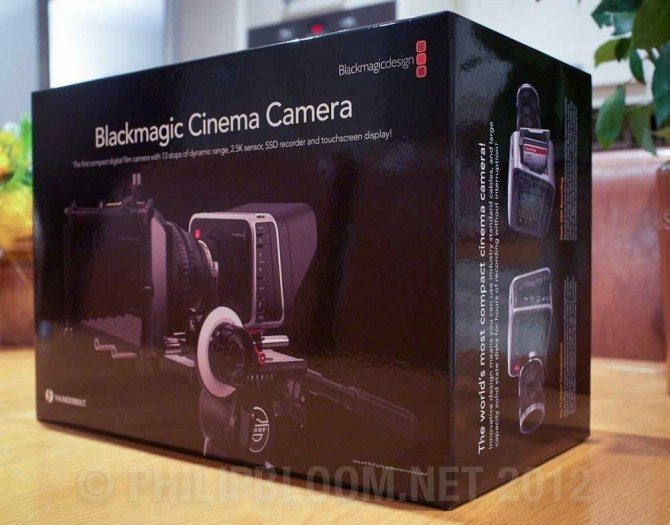 Interested to see some rolling shutter tests as this is a CMOS sensor… Waiting on mine, can;t wait to shoot with it. 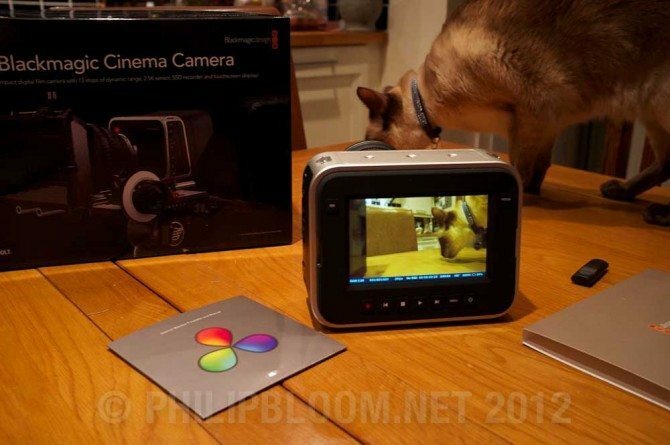 Thanks for posting the unboxing pics Philip! 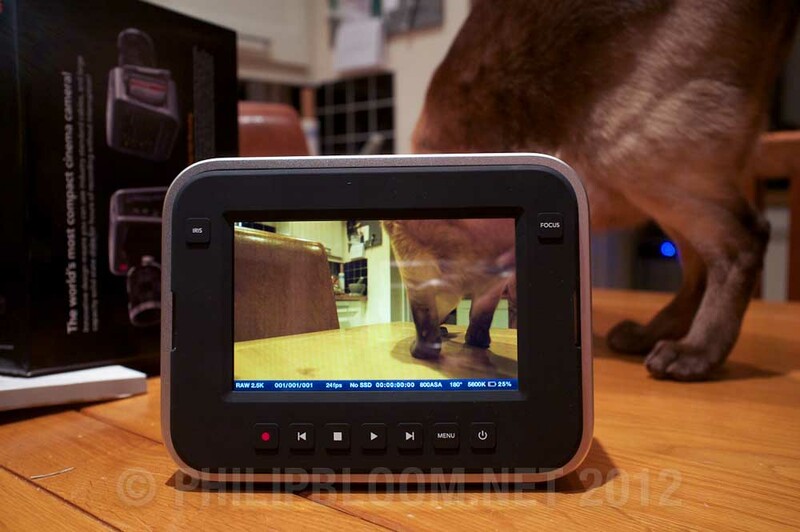 Videomac – Do you mean use 16mm lenses so you can get wider angles (field of view)? The way I understand it, a 16mm lens is only different in it’s physical size (to cover sensor). With 35mm film a 50mm lens will give same field of view as a 25mm lens (made for 16mm cameras) on a 16mm camera. While I’m on this. Does a 50mm film lens (PL mount) on a 35mm film camera have a 1.4 crop factor? 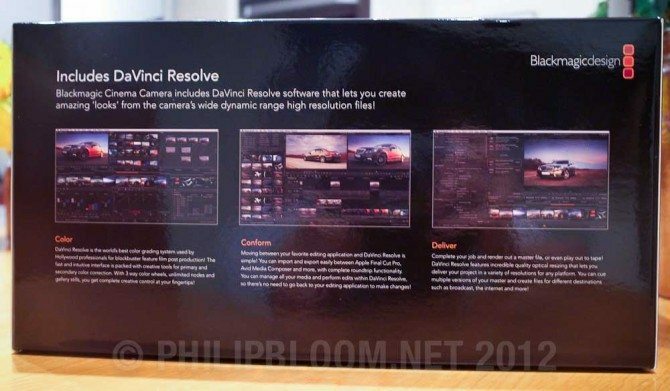 So essentially a what you’d see with a 70mm lens on a 5D? Philip? I predict a lens is a lens is a lens answer here. Sorry about the horrible spelling but it is a typing error due to display problems with this WP theme on iPads, see below. Damn you iPad auto correct. Horrible when typing blind. You seem to be confusing the size of the lens with the size of the imaging device. 16mm film is in reference to the size of the negative. As a result it requires much wider lenses in order to get a wider look – very similar to the effect of the BMC except a bit smaller even. Most people would prefer a PL or C mount because there is a lot of great wide glass made with this purpose, unlike EF where the primary market is full frame or APSC. And yes S35 has a crop factor in comparison to Full Frame. All I meant was, a 50mm lens on a 35mm cinema film camera would give the same angle of view as approximately an 85mm on a 5D full frame. So when people shoot on film cameras, they think of a 50mm lens differently. That’s all I meant. I was just checking I was correct. With the recent change in RAW pixel dedimensions to accommodate a cleaner down res to 1080 the crop factor is now 2.277 compared to 135 format angles of view. for the most part 16mm lenses do not work, but some do. Check GH2 forums to see which ones cover more than 16mm. I had to type this toalky blind as the Title bar scrolls over the write window when onan iPad. I want to see pics of it mounted on a rig, it seems like you would have to always have it mounted to something to shoot with due to lack of hand grips or anything of that nature. Best unboxing photos ever! 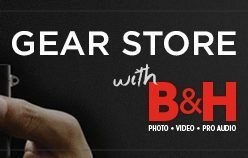 I would be curious to examine whether Bert would be able to remove an SSD while using Skype, are opposable thumbs needed? 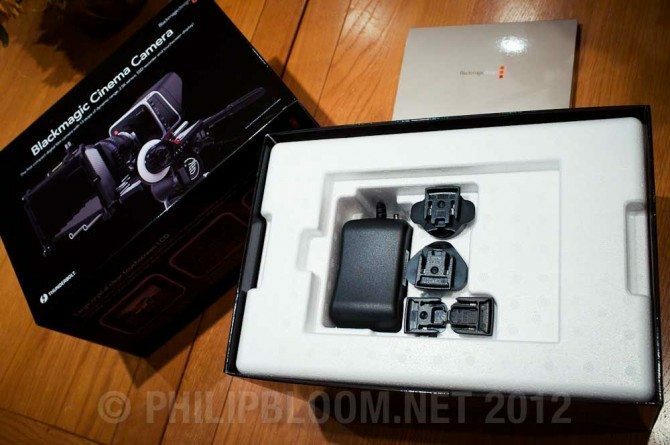 I agree, I’m wondering if I can mount this on my Redrock micro rig I use with the 5D. Alternatively, I’d like to see a good compact hand grip attachment. 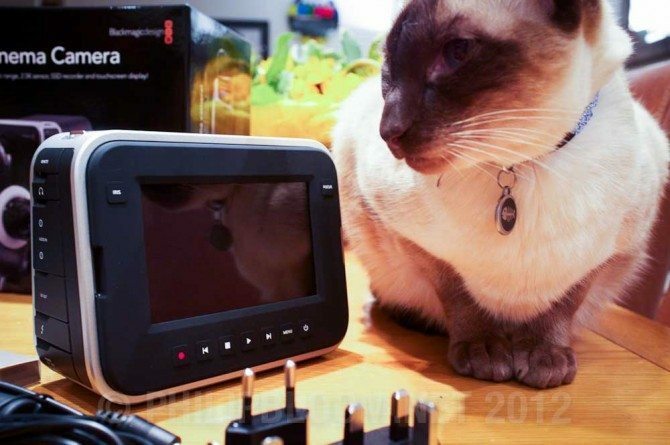 Preferably one that could be mounted (perhaps with the addition of a cage of some sort) without blocking the media/SSD opening. Sorry I just can’t help myself… is that your lady friend? Enjoy your work immensely – thanks for sharing! 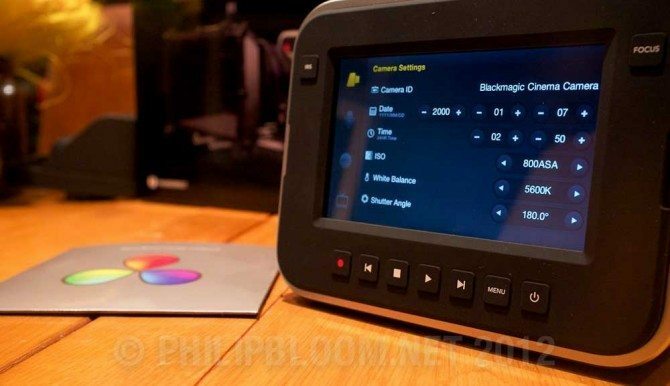 One thing that intrigues me with the BMCC is the difference in exposure control using shutter angles / aperture rather than shutter speed / aperture that many DSLR filmmakers will be used to and how this affects the look & feel of the finished product. 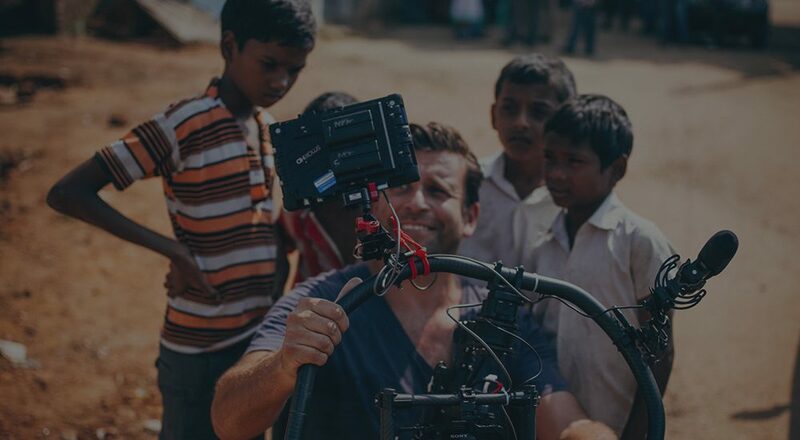 Once you have had a chance to get the measure of the BMCC, perhaps you could give us noobs some pointers for the use of shutter angles compared to what we might be used on, say, a 5DMK2? Just to add: The shutter angle info above is for 24p. For example, in 25p a 180 degree shutter is equivalent to 1/50th sec. and so forth. I just edited n Graded Raw DNG’s courtesy of john Brawley .. Its awesome , i Badly want to buy this camera but its cost almost twice in my country INDIA , its 5700$ here 🙁 .. B/w please watch my attempt of Grading to those Raw DNG’s http://vimeo.com/48184179 , Thanks 🙂 .. 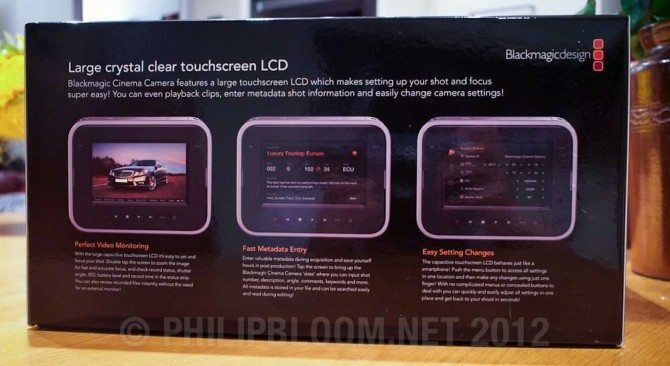 I can’t wait to see the review and to see some Bloom made pictures from the camera. 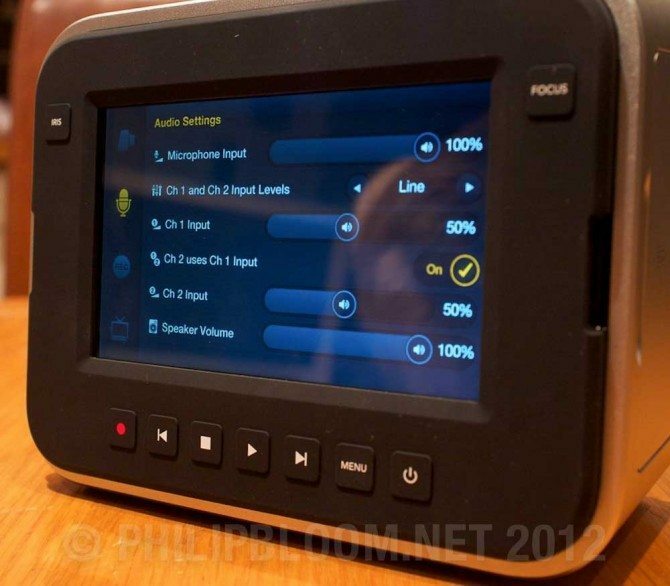 – can we bypass the onboard battery and plug-in anything else via the AC Port ? Well… Can’t wait to see the review ! 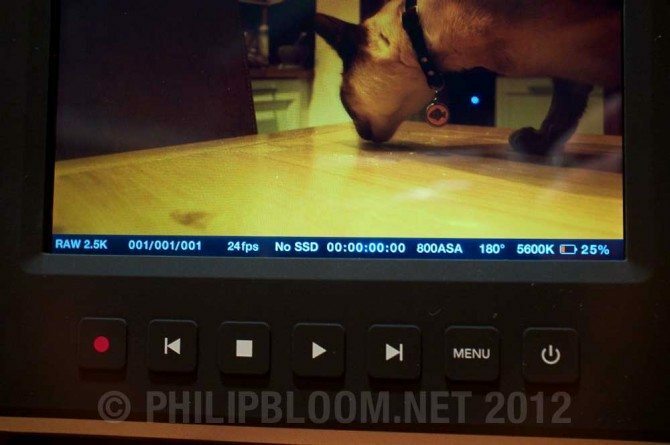 If a 12-30VDC power source is connected to the BMCC that supplies enough current to operate the camera (reported to be 18w, but not confirmed), the camera will operate from the external source. 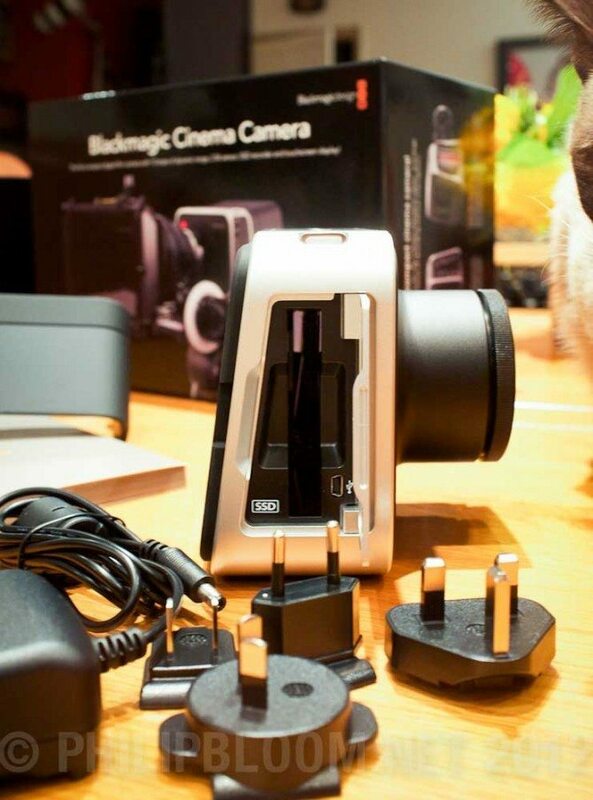 If the external power source has enough current to operate the camera and charge the internal battery, it will do that. 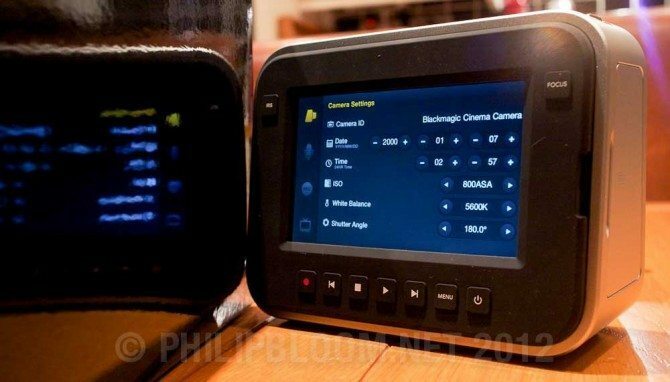 All BMCC power & charging operations occur seamlessly, even if the camera is in record mode. 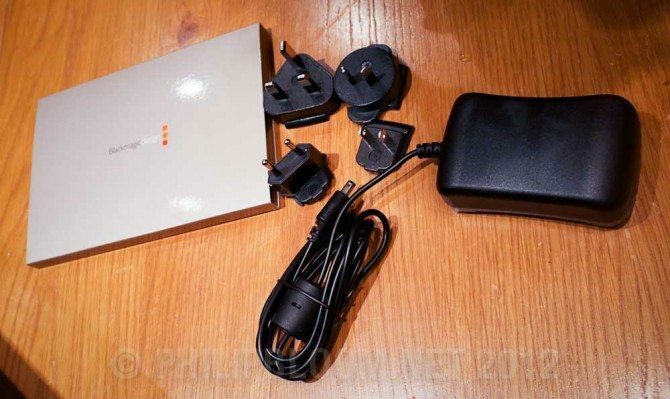 Similar to the way a modern laptop or smartphone works with external power adapters; it just works. 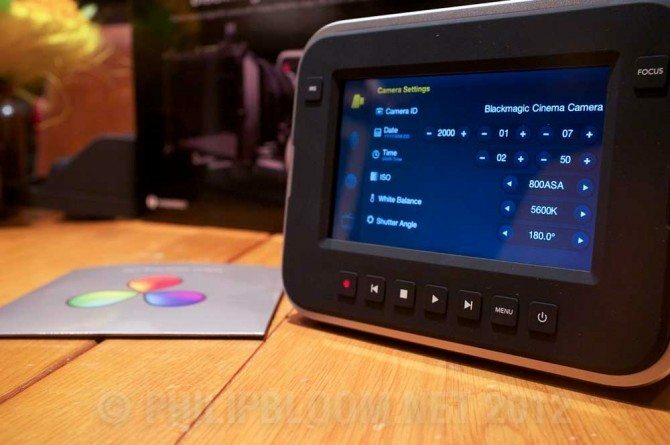 As for your question about recording RAW & ProRes simultaneously: The BMCC can record one format at a time. 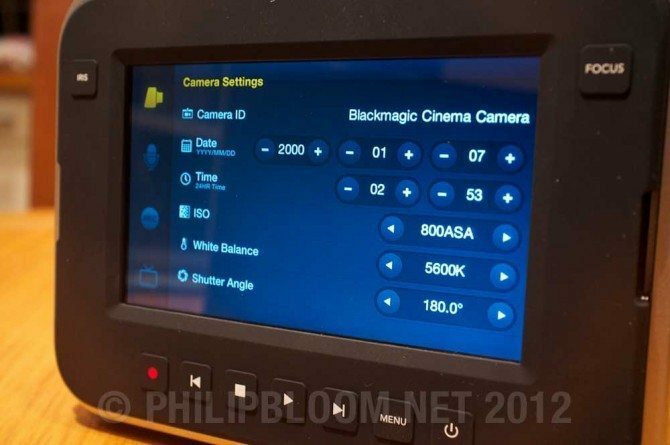 In other words, the camera can record to the internal SSD drive in one format at a time (RAW DNG, ProRes, or DNxHD). 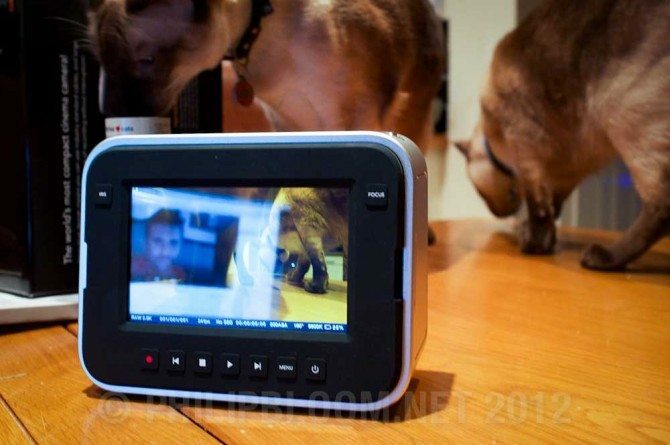 In addition, the camera’s HD-SDI connector can output “clean” 1080p video without text overlays, so an external HD-SDI recorder can be connected and record in whatever format the ext. recorder is capable of. 1. You can plug-in any battery you like through the AC port, and it recharges the internal battery. Think of the built-in battery as a backup battery that lasts for 90 minutes. 2. You can’t record both formats at once using the camera, but you can (apparently) use the SDI port and an external recorder to record in a second format. I´m really curious…can´t wait to see the review. BTW: I love those cats! I was waiting for that camera. Maybe we get the first cat impressions? I can’t express how excited I am for your posts on this beautiful camera! 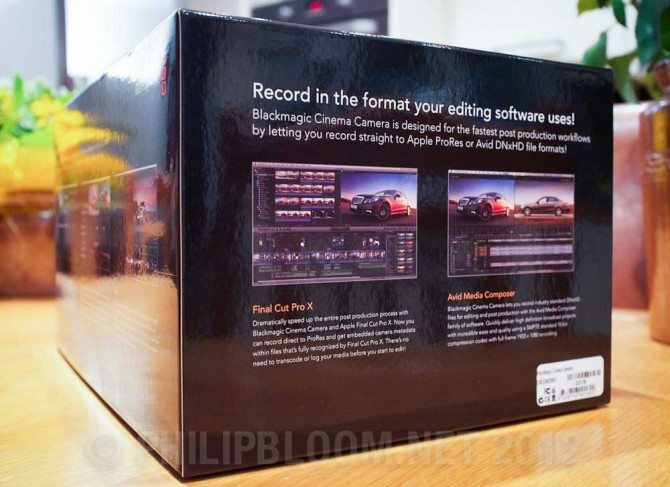 A lot is riding on your impression of this lovely little box…ahh..ok, angled thing. I don’t know about anyone else, but I haven’t seen anything REALLY…Ok, I’ll be nice, interesting shot with this camera yet. I can’t wait till you rev it up and give us your thumbs up, or down, or whatever you think. I’ll be waiting patiently, right here, with my mouse over the refresh icon! I have not been able to find anyone in Australia who has one yet. Would like to get my hands on one to test. Only when I came to this blog post for the second time, I fully realised what was going. 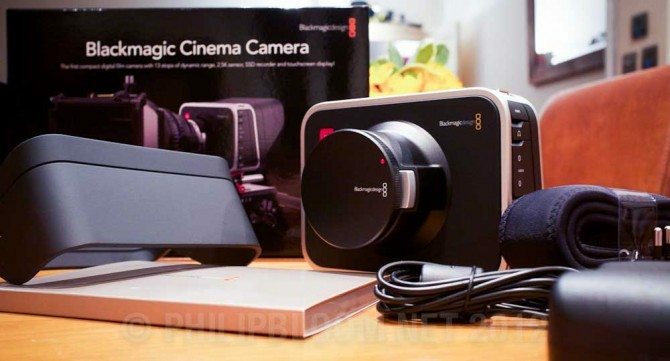 You are/were in LA, and you asked a friend at home to unbox this camera, broadcasting the process live on Skype so that you could enjoy it back in LA. Then you posted the pictures on your blog, for us to watch. Mindbending, kind of reminds me of William Gibson’s Neuromancer novel… Not sad, but visionary, just like Gibson’s novel! 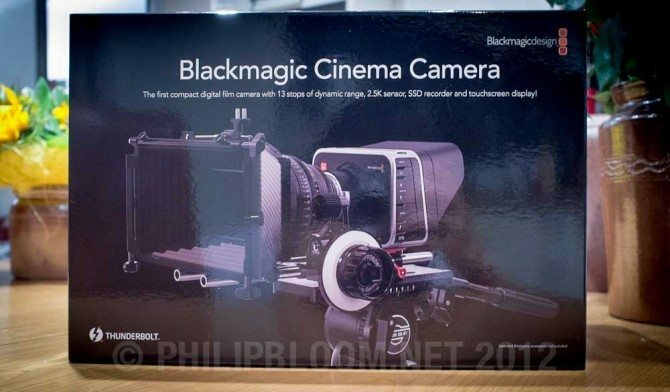 Like so many, I think this Black Magic Cinema Camera is going to break the mould and change the videocamera market in a revolutionary way. Question for the mathematicians! 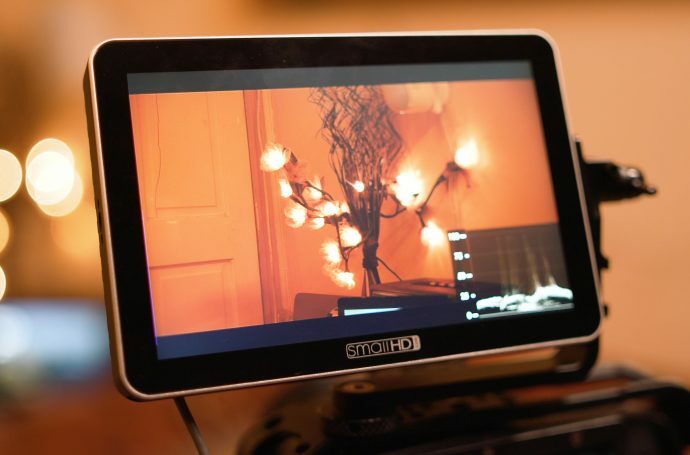 What sort of crop factor would an EF-S lens give you on the BMCC? Or a 4/3rds lens if you could get the correct adapter? Well… it’s futuristic looking. I’ll give ’em that. What will the DOF be like with a 2.3 crop? I’m not very familiar with 16mm. It would be AMAZING if a thunderbolt to HDMI cable would allow monitoring with a HDMI monitor. It’s a feature probably 9/10 converting DSLR shooters want, but it sounds like the thunderbolt is for recording to a macbook only. 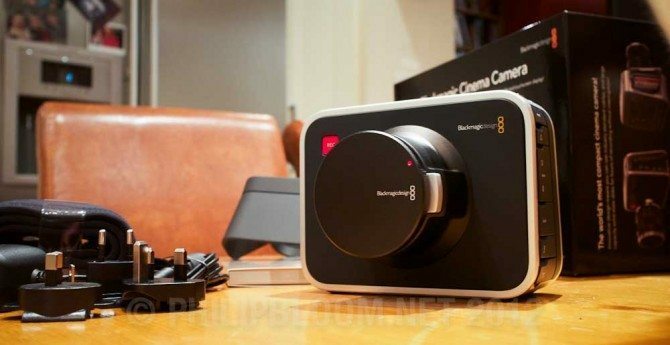 In an interview somewhere Blackmagic said the thunderbolt was not for data transfer and not for monitoring, only for recording and scope monitoring. 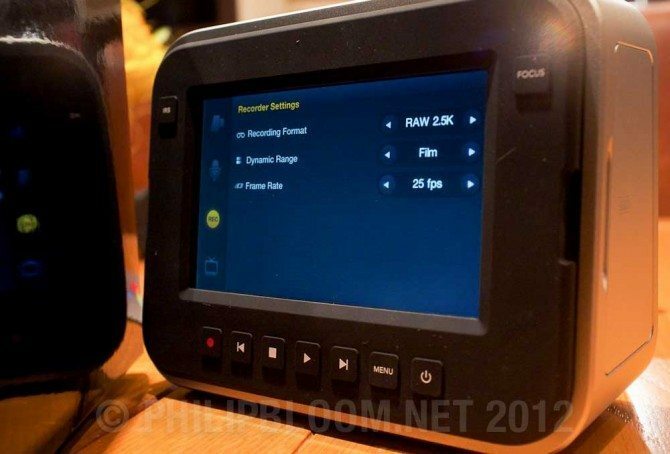 I’m sure there are lots of us hoping this will be changed in the final firmware. Really wish they had a mount option for Micro 4/3 lenses. Voigtlander f/0.95 25mm would rock on this camera. Anybody knows if there is similar lens for Canon mount? Adapter? I hope someone is gonna modify the camera to fit the m43 lenses. Like a PL mount on a 7D. That would make me buy this camera. Then we could use the nice voigtlander lenses but also the canons trough an adapter! Shape? 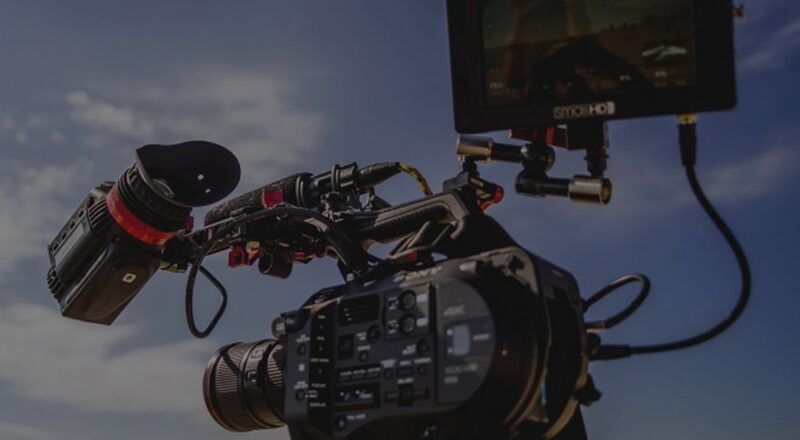 What happened to Zacuto? They have some awesome gear for it. That top mounted rail looks amazing. Regarding PL glass. As far as I understand it a lens will only work (focus to infinity) on a different mount if its intended flange focal distance is greater than the mount’s. 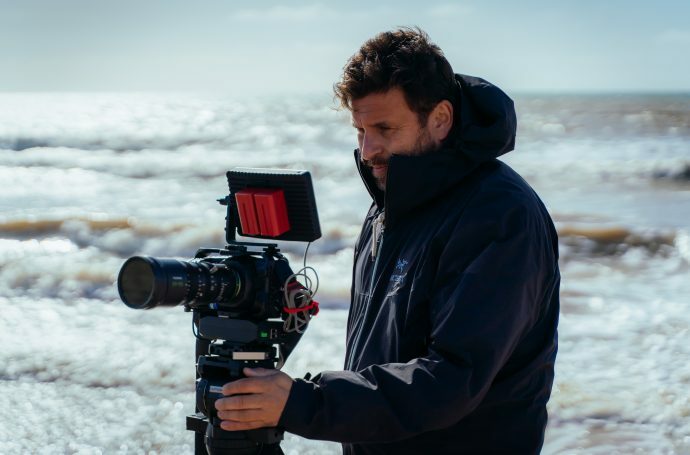 Arri PL has a FFD of 52mm (source wikipedia) and Canon EF is 44mm. Therefore the limiting factor will be how far the lens rear element protrudes past the lens mount so if the PL lens can be mounted safely (with an adaptor) then it should be possible. Obviously correct me if I’m wrong Philip or anyone else who knows better. 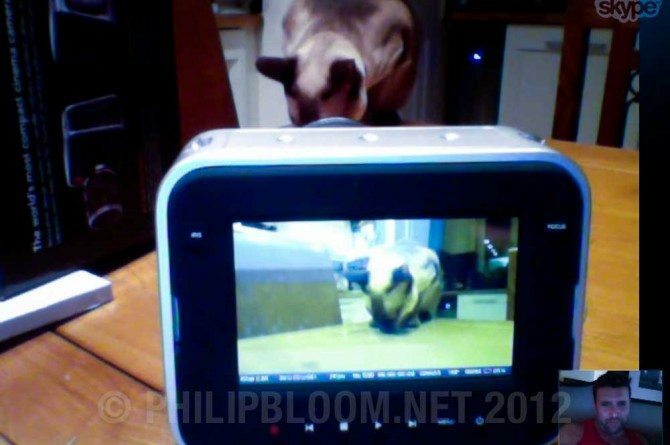 Oly and Panasonic 4/3rd lenses have deeper back focus. I have the 9-18mm Olympus and use it with an adapter on my 4/3rd GH2. I wonder if a special adapter might be possible for the 4/3rd lenses on the EOS mount. People complaining about the built-in battery. How many of them own a iPhone or iPod? There are tons of options for power even your cars battery, plug it up and shoot all week 24/7. 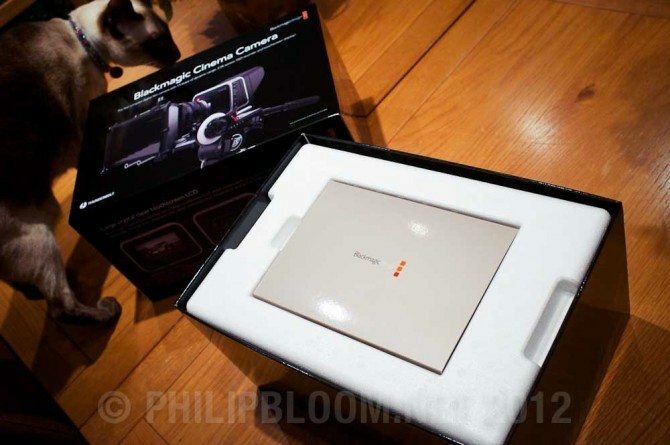 Can’t wait to hear more from you Philip on this camera. Who thinks wide angle adapters are cheesy? Haha! I would throw this on my tokina and stop my aching brain from doing so much math. 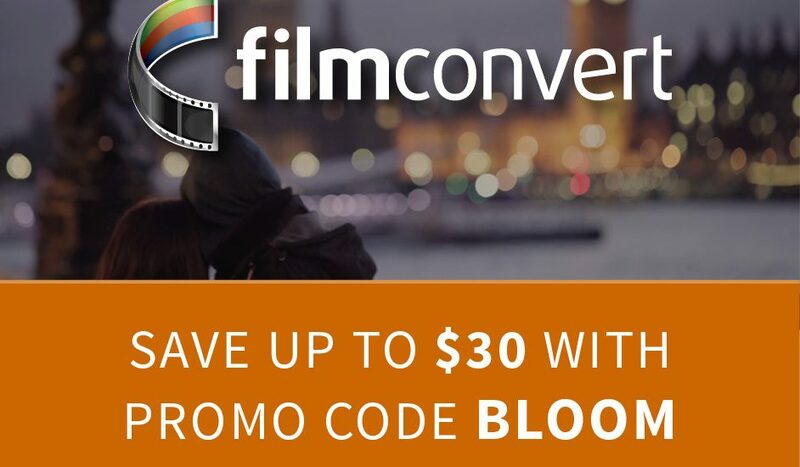 I would just have to look at how sharpness is affected…hmmm. 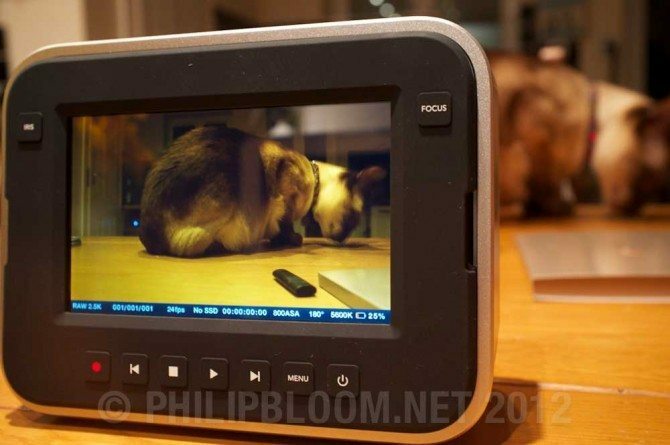 …then again that would only be a 15mm(ish) fov…i think. Any suggestion on the wide angle lens for D800? Now 14-24 f2.8, 17-35 f2.8, 16-35 f4 are on the list, but 14-24 cannot take filters (not good for film production? when a fader ND is needed). Your precious comments is very much appreciated! 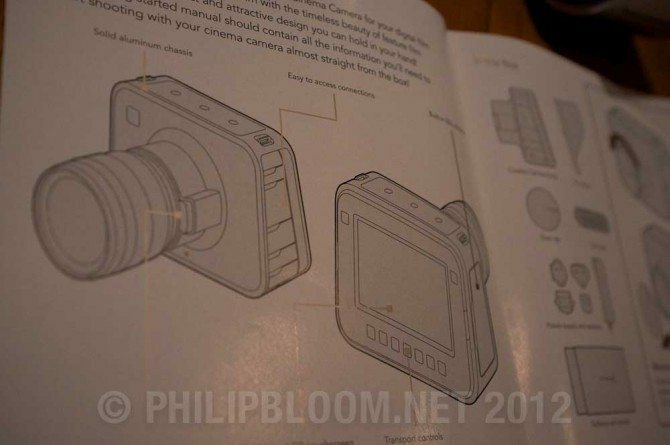 Just downloaded the manual for the camera and noticed that there´s no audiometer anywere. not in the menu or on screen. Please check if that is true. Could you also check if the LANC-connection actually works with Canon EF. If so, this is a great way to get manual focuspulling on to the handle of a rig when working ENG. But wait and see after all. 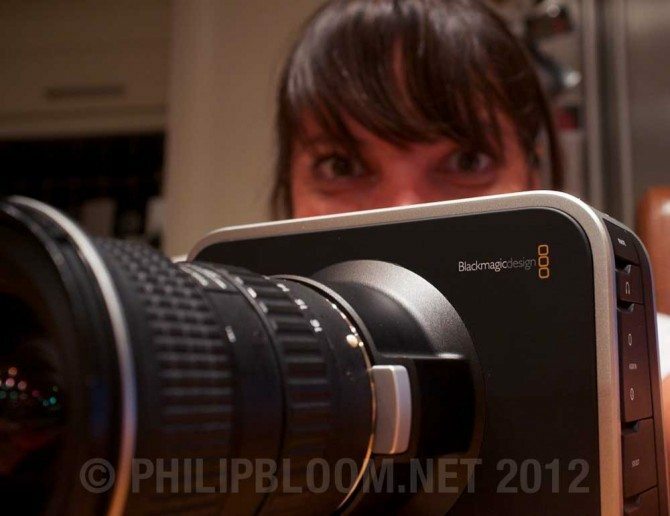 You must watch the Rick Young videos, interviewing Grant Petty CEO from Blackmagic. 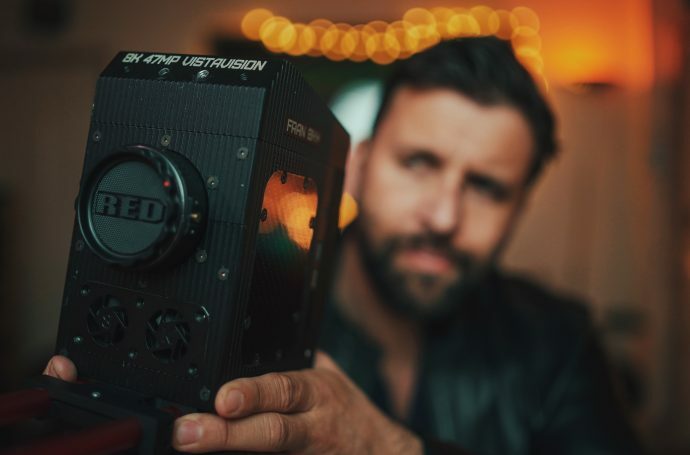 Here’s Part01 http://vimeo.com/48299621 – Part02 http://vimeo.com/48581496 He explains the reason they choose a 16mm sensor was because it’s the best low power wide dynamic range sensor on the market that integrates with DaVinci Resolve. Part03 http://vimeo.com/48581497. 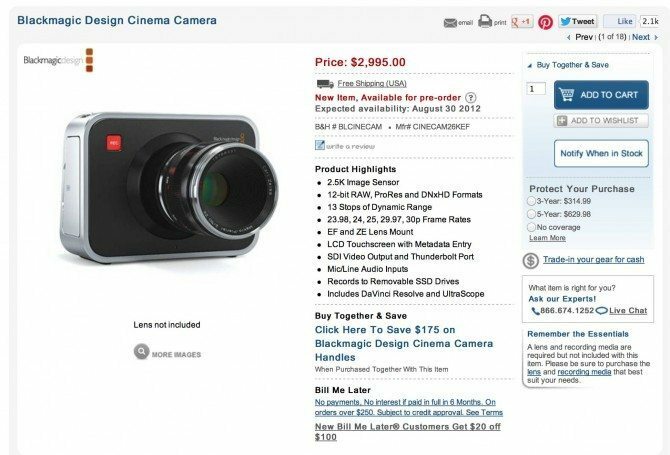 I am thinking this camera might be perfect for a 2 year b-roll project. I would normally think of a 5D Mark 2 or the D800 but as a film/video shooter I like that this camera is set up more for the way I work. 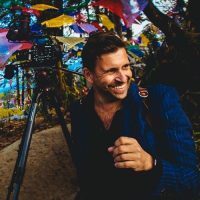 The one caveat is that I am more of a Nikon guy and have tons of beautiful Nikon lenses and if they don’t work on this camera it is a deal breaker for me. I am worried that an EF to Nikon mount may not work. Anyone have experience with this? Hi Philip!! 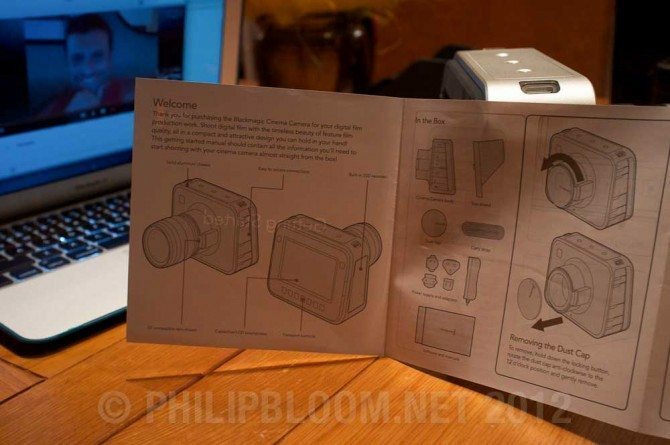 I can´t wait to read your review just to see if I get this camera. And also to see what great work you can do with it. 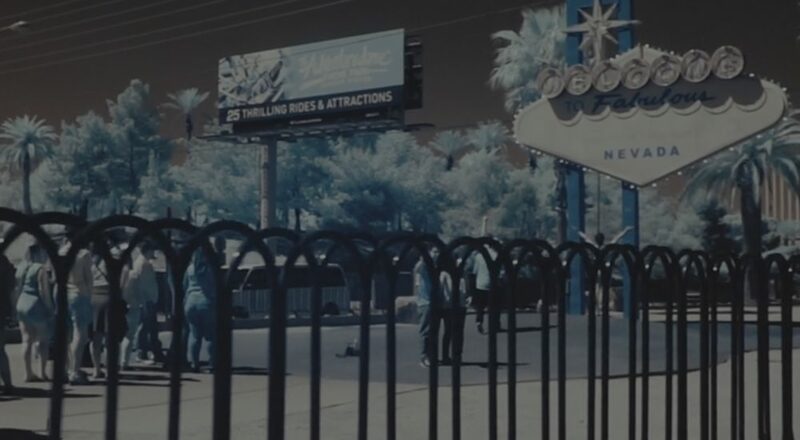 Some of the shots look nasty sharp, like bad video and there’s some juddery rolling shutter on the 4×4 shots. But… I suspect this wasn’t filmed by a pro DoP. 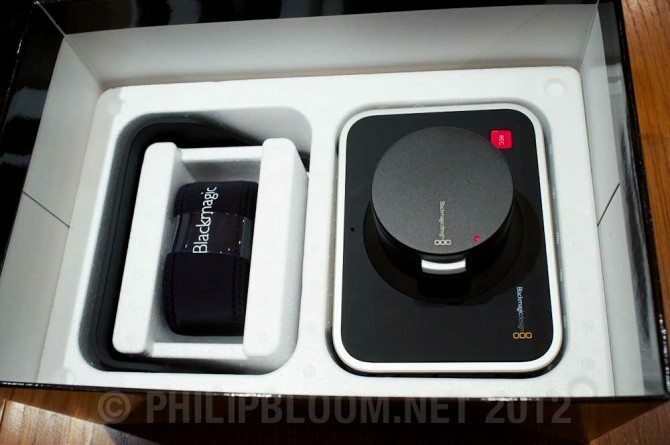 Where is the button of set diaphragm in this camera (blackmagic) ??????!!!!!! !